The CMS VRC Robotics team participated in the Jonesboro Hurricane Fall Classic Saturday, November 11. The team practiced, ran skills challenges, and played qualifying matches. The team won the Design Award for their engineering notebook and judges' interview earning them an invitation to the CREATE Open Event in Iowa next April. GT students performing Dorothy in Wonderland. Great job! On Monday the 6th grade math students will begin learning how to solve for the surface area and volume of prisms and pyramids. We are going to be creating our own prisms and pyramids so that we can see how the shapes are constructed in order to do the calculations. The students in Mrs. Bailey's class practiced their graphing and math skills by participating in the Oreo Stacking Challenge. GEE (Girls Engaged in Engineering) learned how to measure time by using dominoes. The girls built stacks of dominoes that would fall over in one second and in eight seconds. They also made paper lanterns that held together by friction alone. Great job girls!!! CMS has had another successful year with the DARE program. Special thanks to Georgia Pacific for providing t-shirts for our DARE graduates. Congratulations Office Kelley on a great job!! CMS Choir presents Madagascar JR. The CMS Choir Department's production of Madagascar: A Musical Adventure! JR. Was a huge success. We would like to thank the students, parents,teachers, and community members who helped make this show possible! Thank you for supporting the arts! Save the Ice Pop! Students in Mrs. Bailey's science classes tested the properties of heat and thermal energy transfer by building and testing a device to help prevent their Popsicle's from melting. 5th graders in Mr. Murdock's Music Class got to blow up, create, and dance with their own Balloon Buddy! What a FUN day! Congratulations to the 5th/6th grade CMS Engineering Eagles. They captured 1st place - Teamwork Champions at Henderson State University!! A reminder from CMS. On rainy mornings, please let your child out under the awning. Your child may go inside and either go to the gym or cafeteria depending on grade level. Thank you. Crossett Middle School faculty and staff members were treated to a special personalized gift prepared by one of Santa's elves! 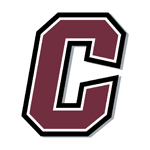 Many thanksto our generous donor for her support of Crossett Middle School! The CMS administration, faculty and staff would like to wish everyone a Merry Christmas and a Happy New Year!!! See you in 2018. CMS BASIC (Brothers and Sisters in Christ) make donations from funds raised this year which value more than $360 to Angel Tree, Dove Tree, and Crossett Food Pantry this Christmas Season. 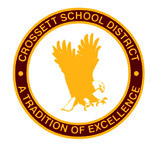 Thank you, Crossett, for supporting our fundraiser earlier this year. These are your dollars pouring back into our sweet little community! 7th grade students combine sodium bicarbonate with Calcium Chloride to analyze the properties of substances before and after a change and discover signs of a chemical reaction! CMS students won Gold at the Special Olympics Bowling Tournament in Little Rock yesterday! Congratulations!!! CMS held their annual Spelling Bee this morning in the CMS Cafeteria. Tressa Richards was the overall winner and Diego Garcia was the runner-up. Congratulations!!! Sixth grade students participated in a DNA extraction lab. They extracted their DNA from their cheek cells. 6-8th grade choir students traveled to SAU to watch Madagascar. It was a great time and an awesome learning experience! Come and see the CMS choir's production of Madagascar in April 2018. Using Science and Engineering Practices, 7th grade science students explore the effects of thermal energy on change of state. The metal element, Gallium, melts right in the students’ hands as the metal gains energy! Gallium has a melting point of 85.5 degrees Fahrenheit. Seventh graders practiced their coding skills today learning how to code Ozobots on paper and on the computer. Seventh graders in Social Studies took part in an activity to learn how populations can change over time due to different events and circumstances. Magazine Projects and Electric Prisms created by CMS 8th-graders. CMS students and staff participated in "Don't Get Tied Down with Drugs" during Red Ribbon Week by dressing in 70's fashion and tied dyed clothes. CMS students and staff participated in "I Love My Drug Free Selfie" during Red Ribbon Week by taking selfies. Students at CMS enjoyed the Kona Ice fundraiser!!! CMS EAST students were chosen to present at the TechStart Tech Takeover event at UAPB on October 18th. TechStart is a division of Facebook and provides Crossett Middle School with new innovations in technology like the Oculus Rift VR (virtual reality) system. Students enjoyed hearing the Arkansas Brass play today. Thank you Don and Lynn Rodgers! Warm/cool color projects made by 6th graders in Art. Yarn paintings made by 5th graders in Art. Stained glass windows made by 5th graders in Art. Homemade books made by 8th grade Art Students. Student's in Miss Simon's math class have been learning how to multiply fractions. Today, they had to create posters by showing their steps and explain their procedures. Thursday 6th grade GT building their first robots. 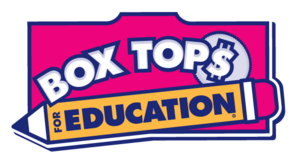 Crossett Middle School is participating in the Box Tops for Education Program. Box Tops may be brought to the office and placed in the purple bucket on Mrs. Farmer’s desk or you may take them to Mrs. Gibson in Room 405. Remember to check the expiration date on them. They cannot be used if they are expired. Parents - Your Home Access Center login is still the same as last year! Please check the lost and found. We have collected several lunch boxes and miscellaneous items! The lost & found is located in the front office. The tardy bell rings at 7:55 a.m. each morning. Students should be in their assigned class at this time. Students MUST wear their name badge at ALL TIMES. A replacement name badge is $2.50; if you do not have the money to purchase one, you will receive a temporary badge. Lanyards are also $2.50. We are in need of pants and jeans that are in good condition for our clothes closet! The pants or jeans do not need to have any holes, tears or rips. They can be dropped off at the front office. Thank you in advance! 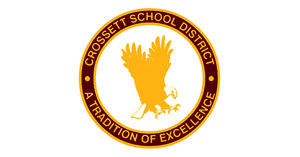 Copyright © Crossett School District 2017. All rights reserved.